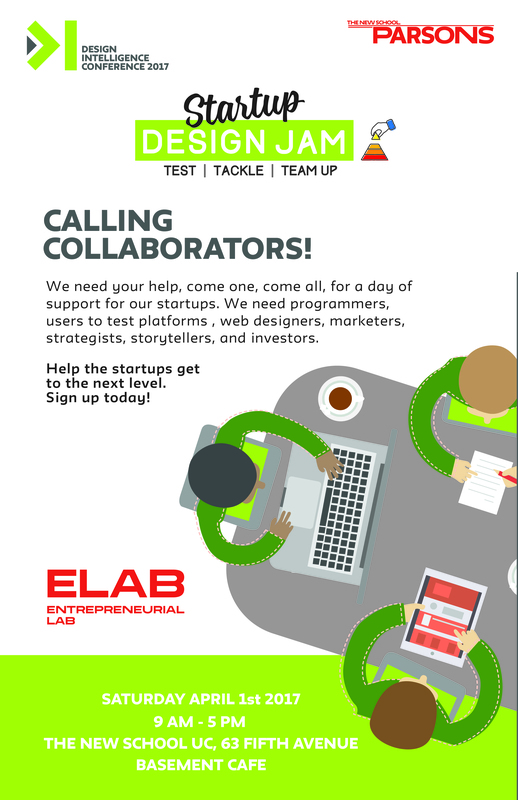 You’re invited to Startup Design Jam! If you have a background in web development, marketing, communication, public relations, design or business development, join us to show off your capabilities and gain insight into how startups grow. Collaborate with like minded people to solve problems and create new solutions with our startups at the Parsons ELab program. This is a great opportunity to come out, meet other entrepreneurs and truly experience where innovation is bred.